Paintball is a relatively recent sport. Its beginnings date back to 1976 in New Hampshire, United States, when a well-known stockbroker and his friend made an expedition to Africa to hunt buffaloes. Such was their experience that when they returned they wanted to recreate the hunt, beginning to draw the first lines of a game in which they would compete one against the other, and that initially would be denominated “National survival game”. A year later, with the help of a friend of theirs who specialized in armament, they wanted to give more reality to the invented game. They discovered that there were weapons that fired paint and that farmers used to mark cows (real paint, not as in our markers, where a gelatin capsule that wraps a completely biodegradable food component is used). 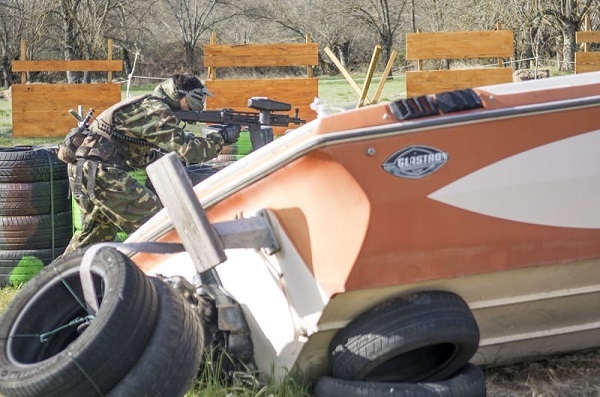 These first markers were powered by CO2 (our Paintball fields in Madrid use compressed air, being much safer and more effective), and were called Nel-spot 007. Soon an alliance arose between the Nelson Saint Company (the company that supplied the markers) and the two friends, who already in 1981 had traced the first rules of the game. It wasn’t until 1982, in New York City, that the first outdoor Paintball field was created. However, Paintball at the time was far from what we play today: the markers, which had to be cocked on each shot, had a maximum of 12 shots; the masks had not yet been invented, and they wore only glasses. In 1983 the competition between different companies begins, and it is the moment in which the paintball develops its greater evolution, being created in 1988 the IPPA (International Association of Paintball Players). Nowadays Paintball is practiced in many countries and it is one of the sports with more projection in the whole world. In the United States alone, it is practiced by more than ten million people. 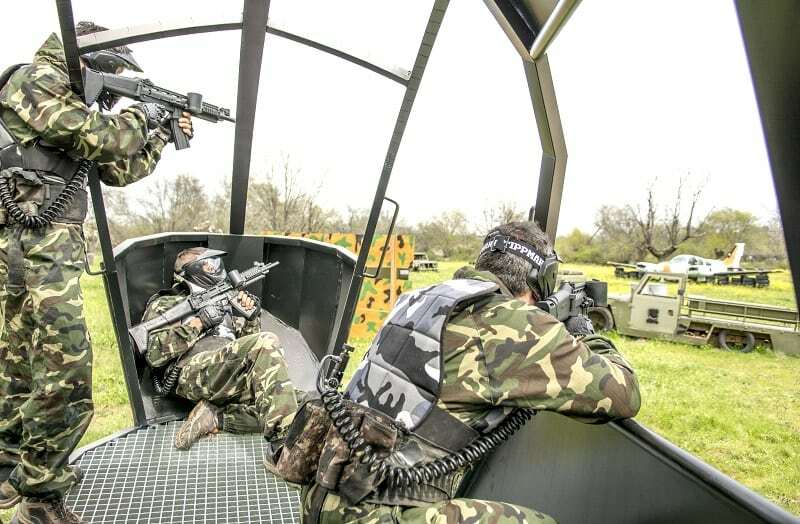 In Spain it is introduced in 1990, and it is from the year 2000 that Paintball in Madrid begins a meteoric development that leads it to be one of the multi-adventure sports in Madrid that is most practiced.